Do you want success? More success than you have now? And even more success than you ever imagined possible?Â That is what this book is about. Achieving it. As publisher of SUCCESS magazine, author Darren Hardy has heard it all, seen it all, and tried most of it. 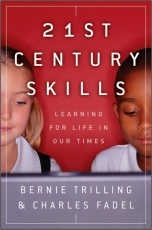 This book reveals the core principles that drive success. 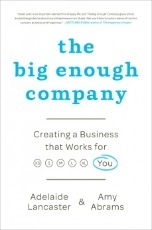 Drawing on the true stories of nearly 100 entrepreneurs and their own experiences, Abrams and Lancaster guide readers through the best principles that really matter when you work for yourself -- Figure out what's in it for you; Find a role that suits your strengths and Embrace experimentation. 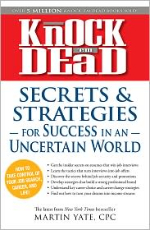 Straight talk about professional success from America's smartest headhunters and career management minds! Whether your concerns are resumes, job search, turning interviews into offers, job security, climbing the ladder of success, choosing or changing careers, pursuing your dreams, or owning your own business, this is an integrated blueprint for success. After years of coaching high-achieving women, master coach and personal development expert Marcia Reynolds started noticing something troubling: many of the clients with whom she worked were plagued by anxiety over their own restless responses to the world. These women were jumping jobs regularly, defining and redefining their relationship with the marketplace, constantly questioning their roles as wives and mothers and sisters. The Internet is like the Old West a frontier rich with opportunity and hope, but also a rough-and-tumble land of questionable characters, dubious legal jurisdictions, and hidden dangers. 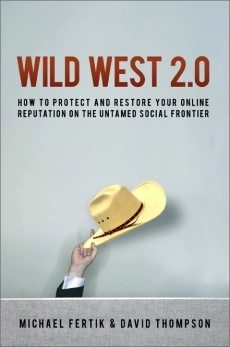 And just like the Old West, if you want to stake out your territory, you have to get there first and fend for yourself. On the web, that means defending your good name and reputation before the attacks start. 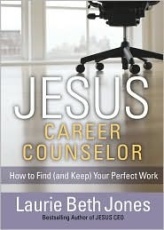 Written to help readers get, find, and keep the work they love, JESUS, Career Counselor weaves together practical self-help concepts, intriguing stories, relevant statistics, and Bible scriptures. Divided into four sections centered on the four natural giftings or personalities of people, this book explores twelve dreams that God has for each individual--including rise, risk, roar, renew, regenerate, rejoice, relate, and more. In these tough times, there are few people who are completely happy with the current conditions. From business executives to the everyday Joe or Jane, everyone seems to be going through a rough economic and personal crunch. But acclaimed business school Professor Srikumar Rao says that we can learn to create joy no matter what else may be going on around us. The world of work has changed dramatically, and there's never been a better time for women to take advantage of this new corporate landscape. But in order to seize new opportunities, one must master the current rules of corporate success. 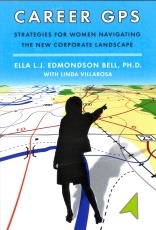 Career GPS is an essential tool for professional women at every stage of their life and careers. Harvard Business School is the iconic business school. 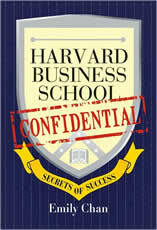 An admission ticket to HBS is a hot commodity and an HBS degree is highly respected in the business world. 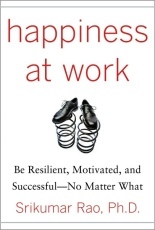 This book, written by an HBS grad and seasoned businesswoman, tells you why. It is a distillation of the most valuable and pragmatic but yet easiest to learn concepts taught at HBS. Face it, whether your company has 10 employees or 10,000, you must grapple with people you can't stand in the office. 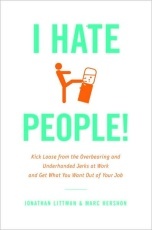 Luckily Jonathan Littman and Marc Hershon have written I HATE PEOPLE!, a smart, counter-intuitive, and irreverent turn on the classic workplace self-help book that will show you how to identify the Ten Least Wanted--the people you hate--while revealing the strategies to neutralize them. Women have power. 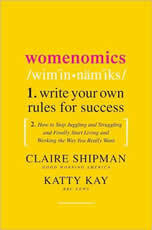 In Womenomics, journalists Shipman and Kay deal in facts, not stereotypes, providing a fresh perspective on the largely hidden power that women have in today's marketplace. Why? Companies with more women managers are more profitable. Women do more of the buying. A talent shortage looms.